As the most romantic holiday of the year approaches, people begin decorating early with vibrant variations of pink and red. Roses, chocolates, heart-shaped boxes, and love notes appear everywhere you look in the beginning of February. Here is a list of some easy, inexpensive Do It Yourself arts and crafts ideas to prepare for Valentine’s Day this year. One easy DIY project is Yarn Love Letters. Get four jumbo or small wood letters: L, O, V, and E. Then, wrap the letters in different colored Valentine’s Day colored yarn. However, another option is that you could cover the letters in red or pink glitter instead of yarn. Glittered candle jars is just another arts and crafts idea to lift Valentine’s Day spirits. All you have to do is gather double sided tape and glitter. 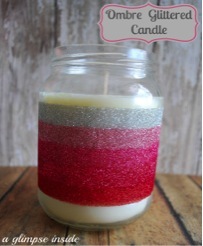 Tape one side around a candle jar, and pour red, pink, or silver glitter on the other side of the tape. One beautiful DIY decoration you can add to your house is a Valentine’s Heart Tree. Just gather some pink and red felt and a Styrofoam cone. Cut out the colored felts into different sized hearts and paste around the cone for a cute decorative touch around your house. If you have any old, metal hangers just lying around this simple DIY project is perfect for you! Take your metal hanger and bend it into a shape of a heart. 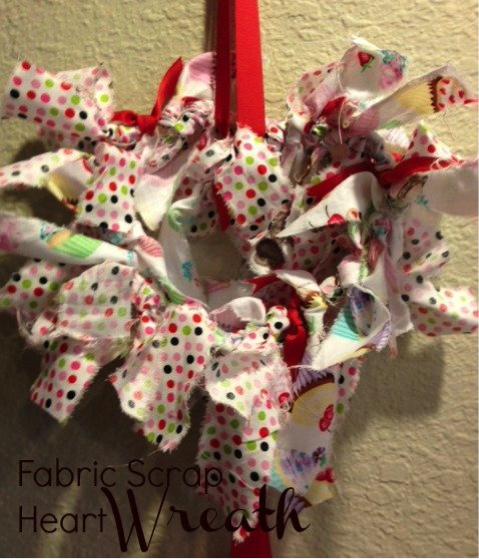 After, cut out narrow, long strips of fabric and tie them tightly around the wire for a beautiful heart wreath. The last DIY Valentine’s Day craft is Heart Shaped Bath Bombs. First, place a mesh strainer over a bowl and pour exactly one cup of baking soda with 1/2 cup citric acid and 1/4 cup of Epsom salts (fine). Make sure to remove any lumps and stir until it is blended. Next, slowly add 1/2 tablespoon of jojoba oil with at least ten drops of any essential oil you prefer and one to two drops of pink or red food coloring. Wearing plastic gloves, mix everything in the bowl until it is blended and turns out to become a pinkish color. After it is blended, slowly add witch hazel until the bath bomb mixture sticks together when squeezed. Be sure not to add too much. You should only need approximately eight to ten spritzes. Make sure it is not too wet, and sticks together well. Quickly mold the mixture into tiny hearts by placing them into heart shaped molds. Let the mixture dry for a few hours (preferably overnight), then take the bath bombs out of the molds. Put the newly made bath bombs in a cool area and tightly in a plastic bag to dry.